Dubline, Provisioning of Mobile Voip made simple and instant. Dubline Telecom is a modern and fresh operator that offers telecom services in a very simple way. We have enhanced the customer onboard experience, simplified provisioning and created a complete mobile VOIP solution in the cloud. No SIMcard needed and from registration to live takes less than 3 minutes. Our solution is available for distributors, operators, hosting providers and ISP’s. Business people want to organise their private and business lives in a less stressful and more sustainable way. To make life easier by giving the customer a complementary second phone line on their smartphone. Dubline Telecom is a operator that offers a professional telecom service which gives you a second line on your mobile phone without a extra SIM card. This service is very easy activated and works for the user completely in app and uses WiFi, 3G, 4G and of course upcoming datanetwork speeds. We can provision fixed numbers and mobile numbers, the whole process is fully automated. The customer registration system also includes a verification payment which can be adapted to local payment services like creditcard, PayPal or other payment providers. After the self registration, the customer can immediately make and receive calls due to the 100% auto provisioning system. The iOS app is ready with the branding of Dubline and can also be delivered as a white label. The app is frequently updated and enhanced with new features. 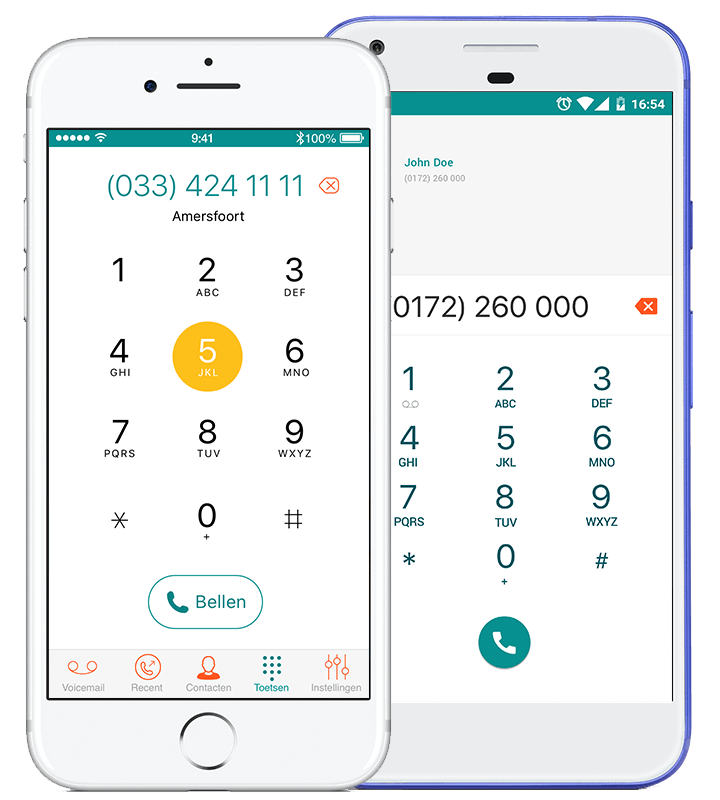 We are also proud to have implemented the iOS CallKit, so calls are not interrupted by a incoming GSM call on a iPhone. It is the user who’s in control now and he can determine which time is private time, business time or both. The Android app is ready with the branding of Dubline and can also be delivered as a white label. The app is frequently updated and enhanced with new features. Just like the iOS app the Android version uses the existing contactlist of the smartphone without making a copy of it. Dubline is not just another peer-to-peer telephony service or a call forward/back service on your mobile number. Customers get an additional professional telephone number which is reachable via the public telephone network. 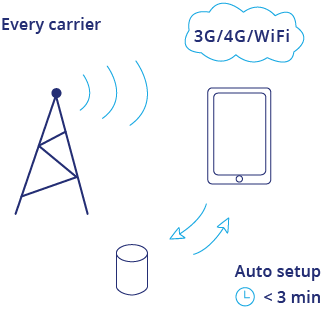 Dubline Telecom offers a sustainable solution for not needing a second mobile phone anymore and no additional hardware at home or at the office. It can all be done with the existing SIM card of the customer. No need to walk with two mobile phones and two chargers, no investments in a small PBX or second phone line etc etc. All you need is broadband access. Small businesses who run a company alone or with two or three people and who want to be reachable on the same number we can easily help. Customers can make use of their existing contactlist and we do not make copies of that. We make use of local partners in every country to assure that services and data stay in the country of it’s origin. The platform that we have build is in the cloud and very scalable. We are gearing up for rollout in several other countries which we will update frequently on this website. Our apps contain already several languages including English, German, French, Spanish and Dutch. The Netherlands is our country of origin and after a development of more than a year, the rollout was started in November 2016. Our technology partner MDS Amiba has its origin in Ireland and has a history of over 30 years in telecom. Delivering a solution that has top quality is our key driver and we have build a comprehensive integration with Android and iOS which results in a simple to use app that has the same or even more functionalities than the native call apps. Mobile only has become fact and two or more mobile phones per person is also common, but not a very sustainable and practical solution. We make it simple to get to one mobile again by combining proven technology with a scalable cloud solution. Also deskphones are not needed anymore and the same counts for internal numbers. No complex rerouting of calls or difficult fixed mobile integration projects. An operator can save on capex in their network. The implementation time is short and depends on the API’s with the backend of the operator. There is also a trend that personnel becomes more mobile and flexible on the job. So why give them each time a new mobile phone (which might not even be their favorite phone), just give them Dubline on their existing mobile. Saving costs and being flexible has become very easy.